Our sizes tend to be a bit generous, if you are between sizes, or not sure, we would advise opting for the smaller size. Measure across the fullest part of the chest under the arms and straight across back. Measure around the natural waistline - with the tape snug but not tight. 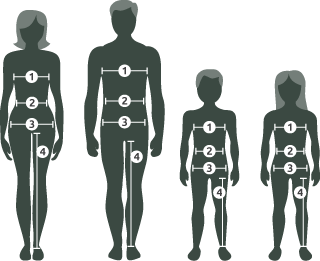 Measure the fullest part of the body, generally 20cm below the waist.